Many people have never heard of Victor Dog Food because it isn’t carried in many local stores, and that’s a shame because it’s a great food! The brand was officially established in 1950, though dog food under the Victor name was manufactured since the 1940s. Victor says that cost of ingredients is not a factor in their foods. They only care about making great food. Every line from Victor has good quality products in it. Victor, the basic line, still uses real, named fats. Victor Select, which includes the product I’ll be giving a detailed analysis of below, improves on that quality. Victor Grain-Free is very similar to Select, except it removes all grain. All three of these lines are good for different budgets and different feedings needs, and I love this variety that Victor offers. Overall, Victor is a really great dog food brand. Not every food in their line is perfect, but they have so many great options that you can’t help but want to buy them. I really recommend this food. 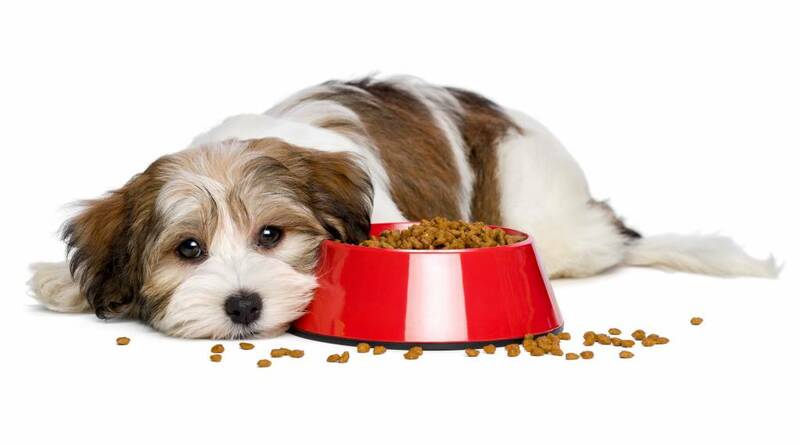 Check out the pros and cons of feeding your dog with Victor dog food. While Victor dog food prices vary between the different lines, you’re paying for a difference in ingredients. Overall, their prices are quite reasonable for what you are getting. I believe the best value can be found in Victor’s mid-range Victor Select line. You get great ingredients without having to pay so much to go grain-free. Whether you want to feed your dog grains or not, you can find a food that works for you at Victor. There is even a good variety of foods aimed at different life stages, and a variety of foods that have a different source of protein in them. No matter what protein your dog likes best, you can find a food that they will love. The fact that Victor doesn’t put known low-quality ingredients like corn, soy, or wheat in any of their foods is a huge plus to me. They could do it to save money and make a profit with their basic Victor line, but they don’t. This shows that they are committed to your pet’s health, and that’s great. I want to feed my pup a food from a brand I trust, and Victor definitely fits that description. Plus, I love that their customers love their food! There are a few dog food reviews that mention the fact that some of Victor’s foods have rice in them. Depending on your dog breed and how strict you are with the source of carbohydrates, I can see why this might bother some owners. While I agree that it’s not the best source of carbs, I think that it’s much better than corn, wheat, or soy. Whether or not you want to feed rice, however, is up to you. Since the grain-free line from Victor is still relatively new, there aren’t as many options in it as there are in some other lines that have been doing grain-free for longer. I don’t think this is a reason not to buy it, but it’s worth mentioning because some owners like to have more options to rotate between. What’s all the hype I’m building about Victor dog food ingredients? Let’s find out with a food from their middle-ground product line, Victor Select: Victor Chicken Meal & Brown Rice with Lamb Meal Dry Dog Food. The first two ingredients in this Select food are chicken and chicken meal. This means that the primary source of protein is real chicken, and I love that. It’s great that chicken meal is so high on the ingredients list because real chicken has a lot of water in it. This means the actual volume of protein would be lower if it was the only source of real animal protein. Chicken meal supplements that really nicely. The next is whole grain brown rice and whole grain millet which are okay ingredients in this food as a carbohydrate source that is not corn or wheat. I love that this food also contains named chicken fat (a great ingredient) and lamb meal to supplement with some more protein. Other ingredients that are nice to see are flax-seed (a good source of omega-3 fatty acids), chicory root (a good prebiotic), and chelated minerals. All of these added ingredients do something great for your dog. I would rate this food as an above-average dog food and highly recommend it! There has never been an official Victor dog food recall. I could not find any history of them having manufacturing safety issues, which makes me like this brand even more. There are many reviews out there like mine that show just how excited people are about the existence of such a quality dog food. While it’s not very convenient that it can be hard to find this food, it’s worth it for the high-quality Victor dog food ingredients. The amount of real protein from animal sources supplemented with good nutrients and prebiotics make this a brand of food. I really love that you can go grain-free or not, and you still won’t find wheat or corns in Victor’s dog foods. That tells me that they understand and care about your dog’s health. If you’re looking for a food that provides the best nutrition it can at the price, Victor dog food might be for you. I’ve been feeding my Golden Retriever Victor Senior Weight Loss Management food for about three years now. He loves it, it agrees with him and it keeps his weight at a hrealthy place. He only has three legs, so it is important that he gets good quality food that nourishes him and keeps his weight consistent.